Origin- In 1967, the founding father of Vandana Monastery; Master Chuan-Ching traveled alone to the east coast of Taiwan alongside the pacific ocean. Toil and moil he initiated the “Buddhist Arts” which alter the intricate and obscure Buddhist knowledge into forms of art that appeal to all. Following in the Master’s footsteps, for decades we have witnessed the far-reaching influence the Buddhist art and culture brought us. The Chuan-Ching Master’s heart is as vast as the Pacific ocean. Every spring, we commemorate the great man through the unceasing sounds of waves and melody notes. 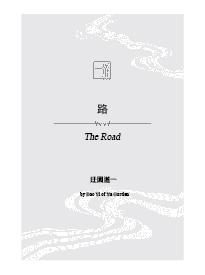 On February 24th, 2019 (spring shower in the 24 Solar Terms) commencing the music concert, Dr. Yu Hsi introduced his latest publication, the "Countless Scriptures". Below is a brief introduction to the book: "Legend has it, that secrets of the universe are hidden within one leaf scroll. When wrapped up, it is small and concealed from daylight; after unrolling, it spreads all over the world. Dazed by a sunny day, people get loose their way among beautiful landscapes, forgetting where they came from. Lingering on, they get lost on layers of maps covering endless mountains and streams, where one false step makes you forget your way home and get wrapped up in the Bright Purple Jade Book. An ancient book, which is hidden in a grain of sand, somewhere among three thousand galaxies… In the universe we live in, the time is endless, space is boundless, and both are interfering and coexisting over one Dhvaja. The thirteen-story pagoda is connecting all the Buddhas, bringing all pagodas in the universe together, linking scriptures of Buddhas from past, present, and future, spreading the words of Dharma. The pagoda is the axis of movement of the Dhvaja. It is the sacred relict of the Buddhas. It contains scrolls of three thousand galaxies. Therefore it is called 'Universe within a leaf scroll'." Concert Program 1. Béla Bartók: Romanian Folk Dances Composer/ Bartók 2. Prabhūtaratna 袍修羅蘭 Fire- Violin Composer/ Ju-Hsiao Ku In the all year long dark valley of lotuses, Technicolor Clothed Girl Summons hundreds of birds to bring fire in order to illuminate for the deeply slept Drunk Groveling and makes the sealed lotuses re-blossom their sacredness. Fire can ignite, warm and cheer lives, but it can also bring catastrophe and annoyance to all beings. There are various types of fire; from dull to fierce, from small to the blazing sun. A wise monk once said, "The power of kindness leads us to a brighter realm." violinist: Tsai-Yu Lin 3. Prabhūtaratna 袍修羅蘭 Earth- Cello Composer/ Ju-Hsiao Ku Expansively and generously nourishing all creatures of the Universe is Earth. The tune attempts to mimic the benevolence of earth by portraying scenery of wisdom enlightening the dark, gloomy skyline as it slowly turns white. Interweaving confusion and vivacity. Somber echos of the bell denote the inspiration of all mortals. cellist: Hsu-Ya Ting 4. Prabhūtaratna 袍修羅蘭 Water- String Quartet Composer/ Lu-Liang Hui Hopping from the thick, dense, yet elegant cello of Earth, the Quartet of the four strings presents tingling and fluid melody portraying Miss Water Jade who wears a graceful white gown dancing heavenly ballet. The mid-part of the song turns Allegro, where the music begins to agitate. This is to depict the surge of water. Firstly it sounds like galloping of wild horses and roaring beasts. Then it becomes peaceful and gentle like thousands of rivers finally entering the sea. https://www.youtube.com/watch?v=haJkBZzlbhk 5. Prabhūtaratna 袍修羅蘭 Space- String Quartet Composer/ Lu-Liang Hui Comes and goes per respiration, space. The sharp and intense melody in this tune is meant to awaken the concealed inspiration and magnanimity lying deep in people's minds. https://www.youtube.com/watch?v=6ZncTqO0EOU 6. Steppes Meet the Ocean (flute, morin kuur, guzheng trio) Composer/ Jantsannorov Natsag Intermission 1. Prabhūtaratna 袍修羅蘭 Wind- Violin Composer/ Ju-Hsiao Ku The rondo, chromatic progress characterizes the major part, swift and nimble. The first interception part is cantabile while the second one is dancing. The major part and the interception part are interconnected by passionate music, incessant like the perseverant and brave "Mountain Wanderer" in the story of Prabhūtaratna who travels as gracefully as the wind blows through the mountains. 2. Prabhūtaratna 袍修羅蘭 Perception- Cello Composer/ Ju-Hsiao Ku 3. Jasmine Flower (violin and flute) Arranger/ Lu-Liang Hui https://www.youtube.com/watch?v=UQwC3LDfGxE 4. Prabhūtaratna 袍修羅蘭 Sight- String Quartet Composer/ Lu-Liang Hui Lady of Ornaments is the symbol of true and sincere love. Nature generously nurtures her on its utmost beauty. Flowers break out into blossom upon her arrival. A wise monk thus said, "Sincerity is beauty". https://www.youtube.com/watch?v=a1J0KI1duwA 5. Prabhūtaratna 袍修羅蘭 Tathāgatagarbha- String Quartet Composer/ Lu-Liang Hui The first seven movements are Earth, Water, Fire, Wind, Space, Sight, and Perception. These are called the seven basic elements of the universe. Eventually, they are all integrated into the last movement "Tathāgatagarbha"; that is, Prabhūtaratna. 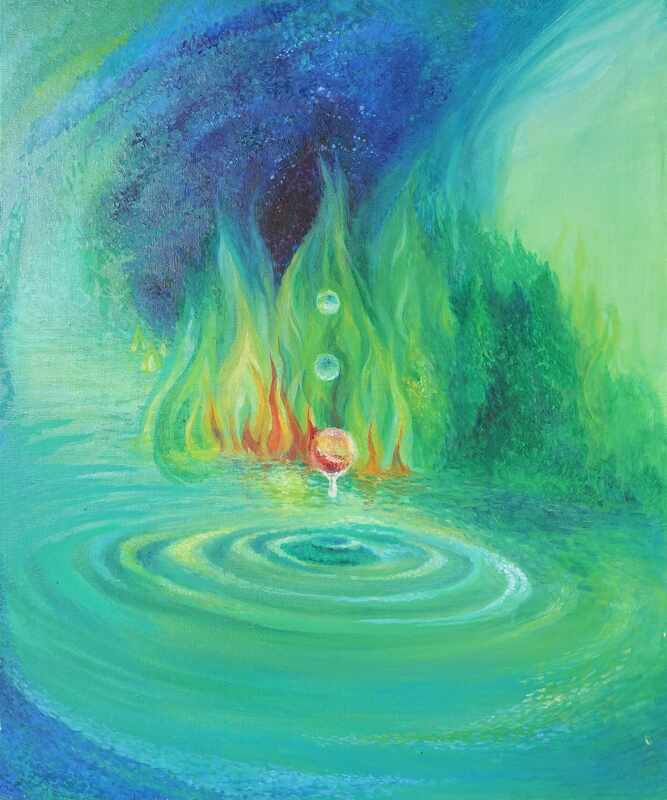 Just as all water flows to the sea, questing for the ultimate source of life. Since Prabhūtaratna is the summit of lives and the absolute truth, the last movement is the most important of the whole piece. Prabhūtaratna's music image is expressed by two themes. The initial introduction is crescendo and as it grows from low to high, inducing the very powerful, momentous and royal first theme. After the development and connective passage enters the solemn, vast, and chanting second theme. Event Introduction from the Official Website of WCP 2019 "XXXIX World Congress of Poets based on the theme “Compassion through Poetry” that will be held from the 2nd to 5th of October 2019 at Kalinga Institute of Industrial Technology and Kalinga Institute of Social Sciences (KIIT & KISS) in Bhubaneswar, Odisha, India. It will be held in English, Spanish and Chinese. This year’s motto “Compassion through Poetry” is consciously thought of and agreed upon by the executive board of World Congress of Poets. The theme will appear most appropriate to you once you visit and experience it for yourself at KIIT and KISS which is based on the ethos of Art of Giving. Lectures from Nobel Laureates and our book presentation will enrich in this ever-evolving genre. A perfect break from the academia of poetry, you may dance and sing by the ocean and relive the history in the sun temple of Konark. The event will also be graced with the presence of Authors, Academicians and eminent Personalities from all across the globe an amalgamation of literature, art, culture and tradition under one umbrella. Let’s all reunite forming a single heart that beats for the love in our Universe and compassion for all." Dr. Yu Hsi will participate in the congress as the Patron and WAAC(World Academy of Arts And Culture) President. Yu Hsi's Facebook page- a modern way to stay tuned! 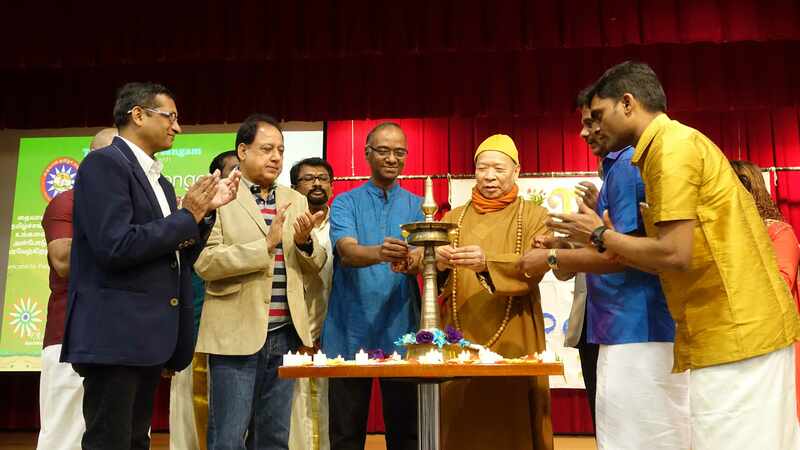 2019 Pongal Festival organized by Taiwan Tamil Sangam took place at CHANG YUNG-FA FOUNDATION in Taipei on January 16th. The Pongal Festival; which means the harvest festival, is widely celebrated in southern India, particularly in the state of Tamil Nadu. The tradition has been passed down for centuries. The celebration lasts for four days in a row, and it usually commences on January 13 or 14 according to the Tamil calendar. Find more information here. TTS (Taiwan Tamil Sangam) with an aim to create cultural exchanges, welcomed Taiwanese and Tamilians in Taiwan altogether to join the festivity. Dr. Yu Hsi as the founder president of TTS was invited to give a speech and light up fortunate candles for a great new year with the director general of ITA (India Taipei Association) Mr. SRIDHARAN MADHUSUDHANAN. Dr. Yu Hsi greeted the TTS staff in the VIP room. Dr. Yu Hsi and Mr. Sridharan both gave speeches to wish all comers a healthy and prosperous year. Light up candles for the blessing of a good future Dr. Yu Hsi and Mr. Sridharan exchanged gifts before the activity began. They were happy to reunite on this special occasion. Tamil folk dance In addition to the brilliant performances, the Pongal festival was alternated with certificate distributions to praise the children's hard working for the past year. The Chinese flute player Xu Man-Ni brought a popular song of India to the audience. Hundreds of people came to join the great event. Yu Hsi is an accomplished photographer, musician, producer, director and writer who has been producing original work for over thirty years. His works are steeped with romantic characters and musical spirits, depicting the diversity of humankind. He has delved into the Eastern philosophy and the masterful use of language in classical literature to create a modern style that is characterized by freedom, wisdom and abundant emotions.